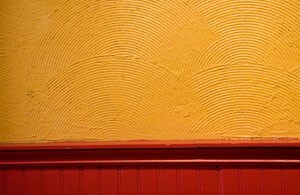 Painting stucco is a fairly common practice. While it lasts for more than 50 years, colour preferences change or current shades become outdated. 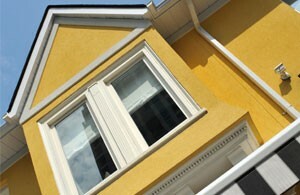 The type of paint you choose will impact the finish and final result of your stucco. Since it is not something you can change very easily, it is best to ensure that you make the right choice. It is also a good idea to do a test strip to ensure the colour turns out to be exactly how you envisioned it. Also remember that a paint colour looks different in indoor lighting. It’s best to take it outside and see it in the natural light against your current backdrop. Use a low pressure wash to clean your stucco exterior walls of dirt and grime. Also take this opportunity to seal and fix any cracks or dents that may have occurred. This will ensure an even finish and look. If you see any areas where stucco is falling off, talk to us at Platinum Stucco to determine how this can be fixed. Having a professional do it makes sense because replicating a special finish or texture without the right tools and proper experience can be tricky. Look for these 5 features while selecting paint for your stucco walls. A high-quality acrylic paint is usually a good choice. Remember that recommendations vary for different wall types and finishes. It’s best to check with your contractor as to which one is the most appropriate for your project. The staff at Platinum Stucco can help you determine the right paint for exterior walls. We have an extensive selection for you to choose from as well as a shade customization option. We also provide simple maintenance tips to help keep your stucco walls looking fresh and beautiful for years. To learn more about your stucco paint options, call Platinum Stucco (416) 731-8600 or request an estimate online.